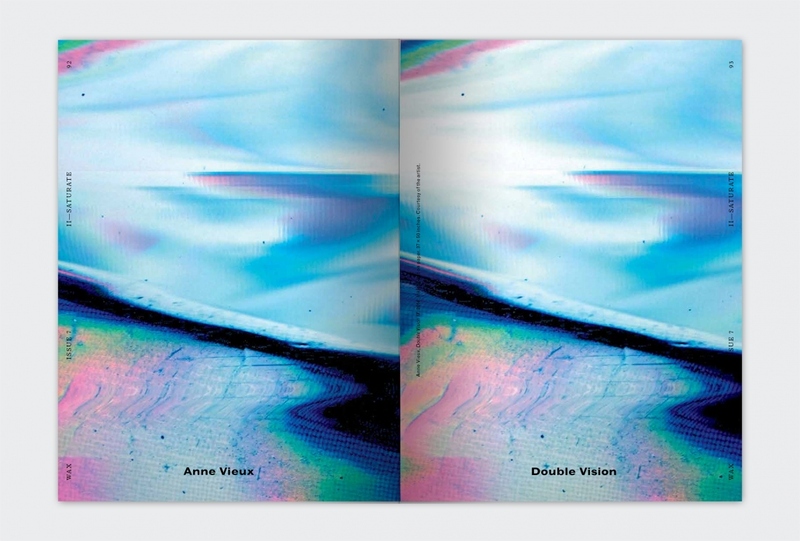 Grab a copy in our STORE! 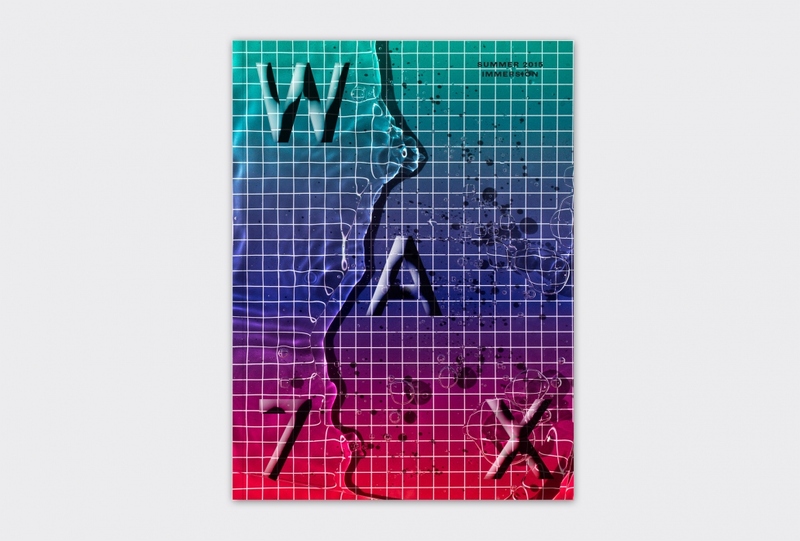 Or check our STOCKISTS to find WAX near you. 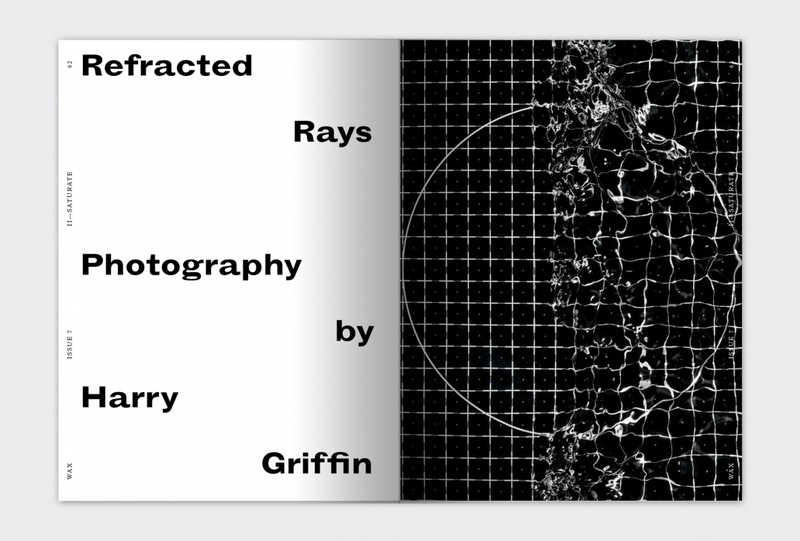 Cover art by HARRY GRIFFIN. Immerse, dip, swim, absorb, soak, douse, duck, dunk, dive, plunge, bathe, stream, surge, ripple, baptize, sink, saturate, undulate, pulsate, permeate, interest, engage, preoccupy, commit, surround, shower, tube, engross, engulf, enclose, experience, contemplate, meditate, marinate, cogitate, ruminate, speculate, scrutinize, deliberate, dedicate, concentrate, consider, operate, think, ponder, muse, mull, brood, reflect, retain, study, practice, prepare, rehearse, persevere, iterate, recur, apply, abstract, obsess, infatuate, persist, perpetuate, consume, devour, imbibe, inhale, ingest, observe, focus, fixate, regard, enthrall, captivate, frequent, enter, inhabit, occupy, abstract, intensify, season, coerce, compel, fascinate, flow, purify, revere, attend, hold, heed, extend, amplify, develop, continue, repeat. 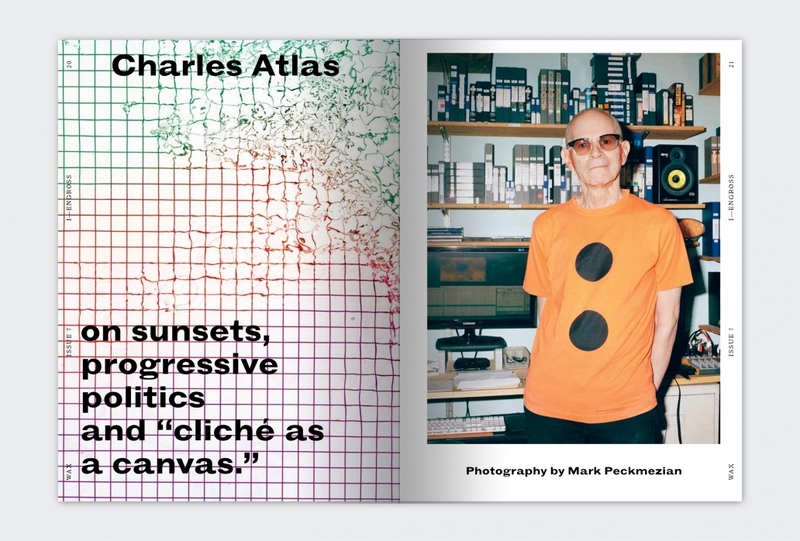 CHARLES ATLAS in conversation with CARMEN WINANT, with photographs by MARK PECKMEZIAN. LEAH DAWSON speaking with WAX founder AERIEL BROWN, photographed by JIANCA LAZARUS, RICK ESTEVEZ and KELIBOW. 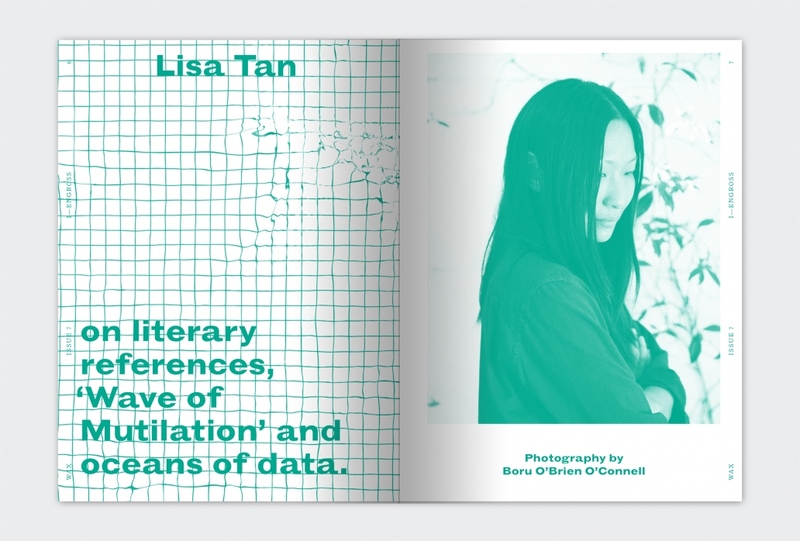 An interview with artist LISA TAN by NICHOLAS O'BRIEN , photographed by BORU O'BRIEN O'CONNELL. 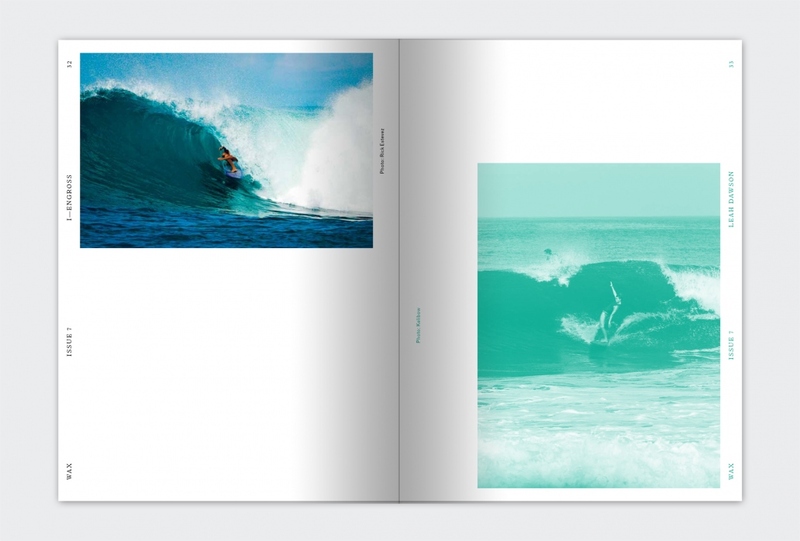 A conversation between artist/surfer KRIS CHATTERSON and TROY MOTHERSHEAD. 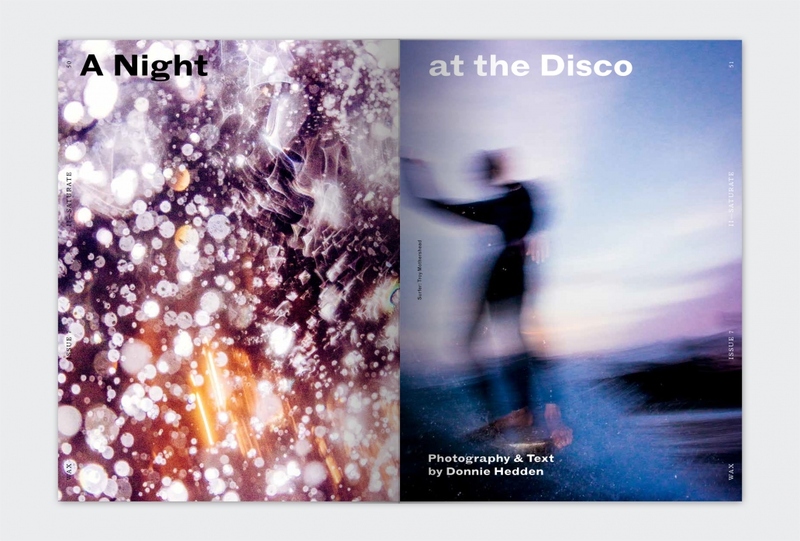 Night surfing photos by DONNIE HEDDEN featuring TRAVERS ADLER, SPENCER GORDON AND TROY MOTHERSHEAD. 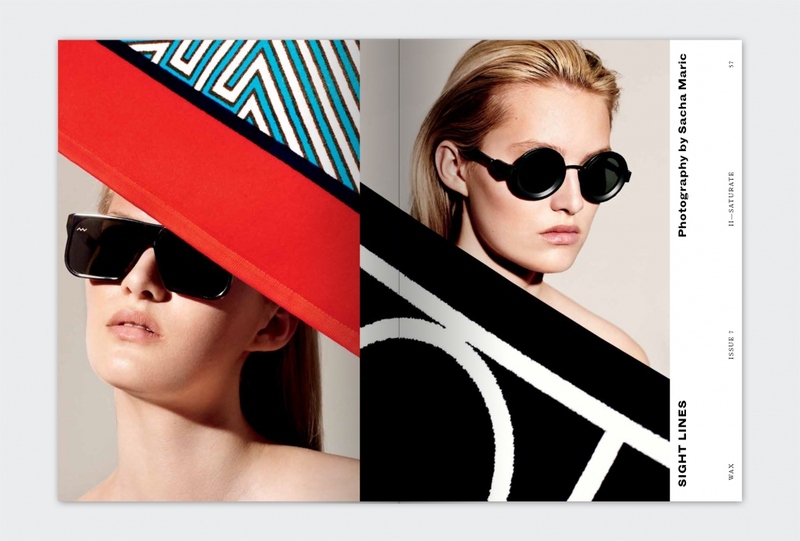 Summer beach gear photographed by SACHA MARIC, featuring KUBORAUM and VAVA Sunglasses, TOTEME, MATOUK and JONATHAN ADLER towels. Water-immersion test photos by HARRY GRIFFIN. 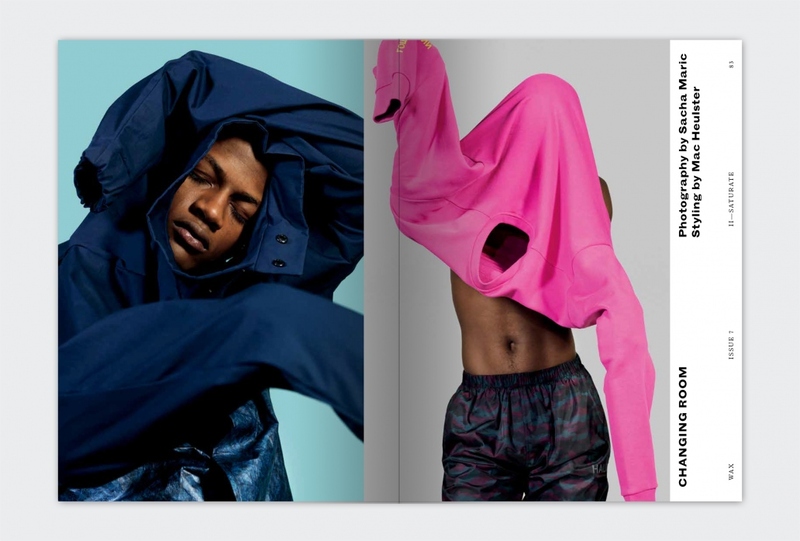 Summer menswear photographed by SACHA MARIC and styled by MAC HEULSTER, featuring: PATRIC ERVELL, GOSHA RUBCHINSKIY, OAK NYC, ÉTUDES STUDIO, NATURAL SELECTION, HALO, CHRISTOPHER SHANNON, THE WHITE BRIEFS, BRAND BLACK, DIOR HOMME, JAMES LONG and OUTDOOR VOICES. 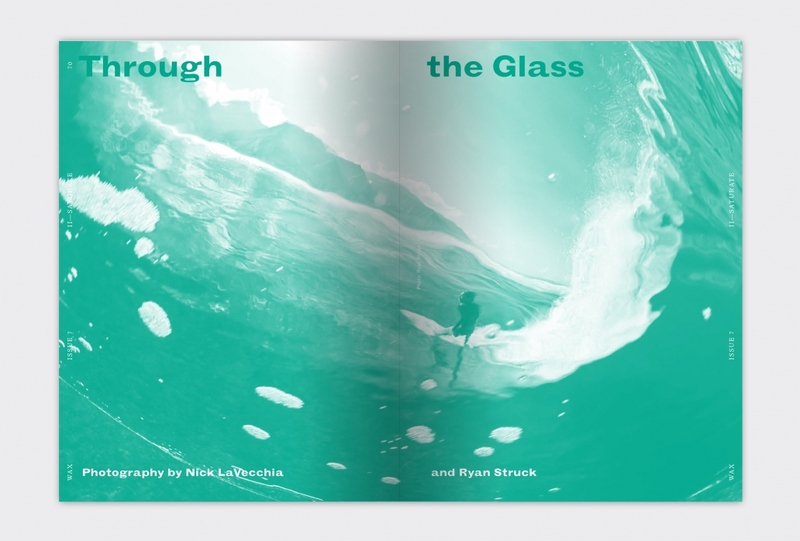 Surfing THROUGH THE GLASS by NICK LAVECCHIA and RYAN STRUCK. 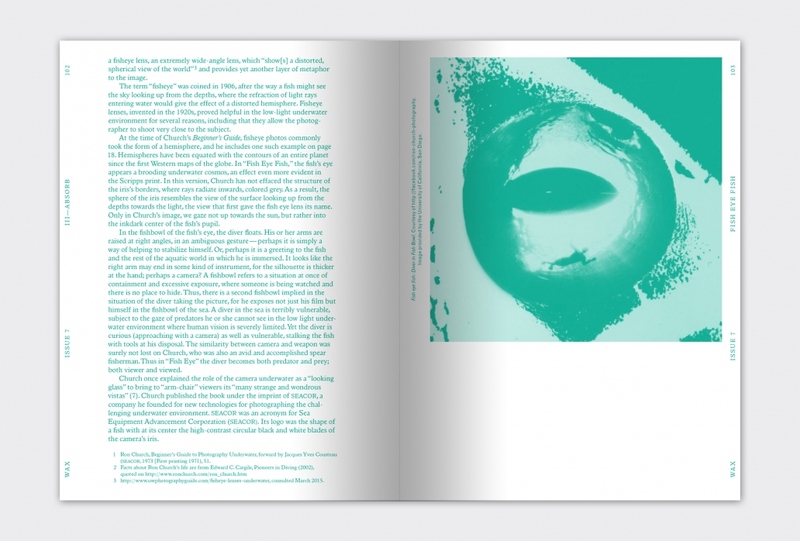 A conversation between ANDREW KIDMAN and TYLER BREUER about editing surf movie soundtracks. 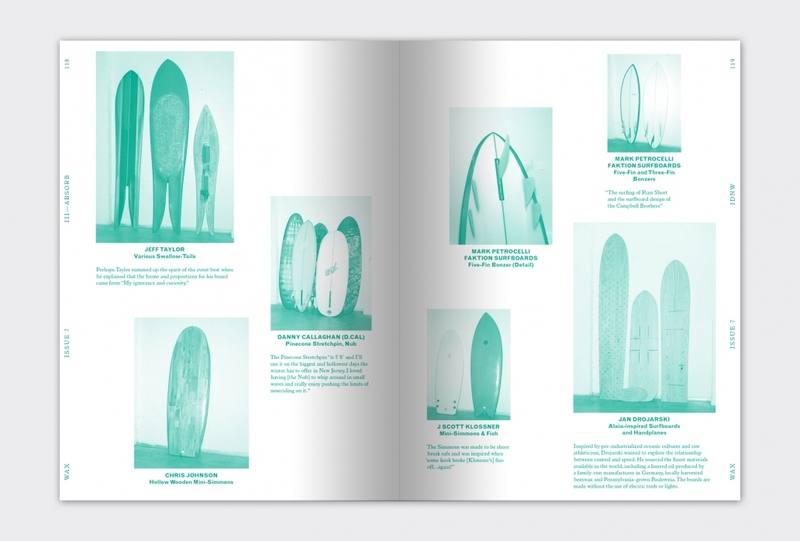 A look at Picture Farm Gallery's IT DOESN'T NOT WORK exhibition of experimental surf shapes. An immersive examination of Ron Church's famous FISH EYE FISH photo by MARGARET COHEN. 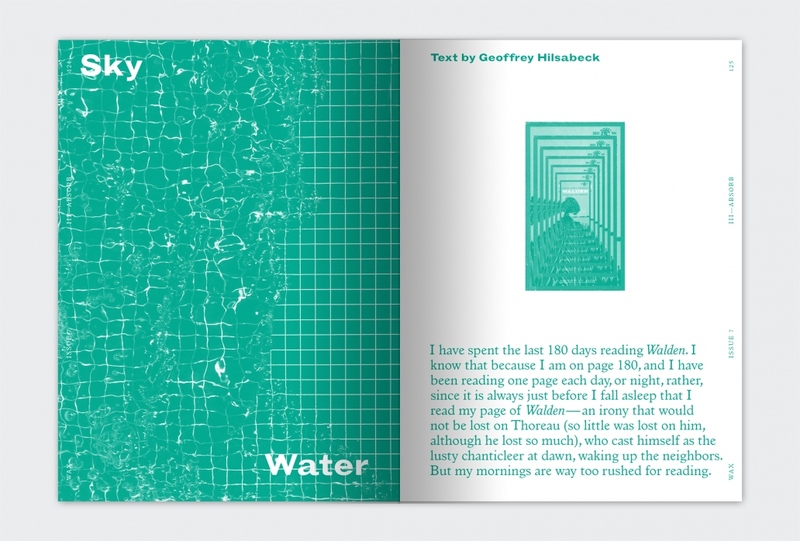 A reflection on reading Thoreau by GEOFFREY HILSABECK.